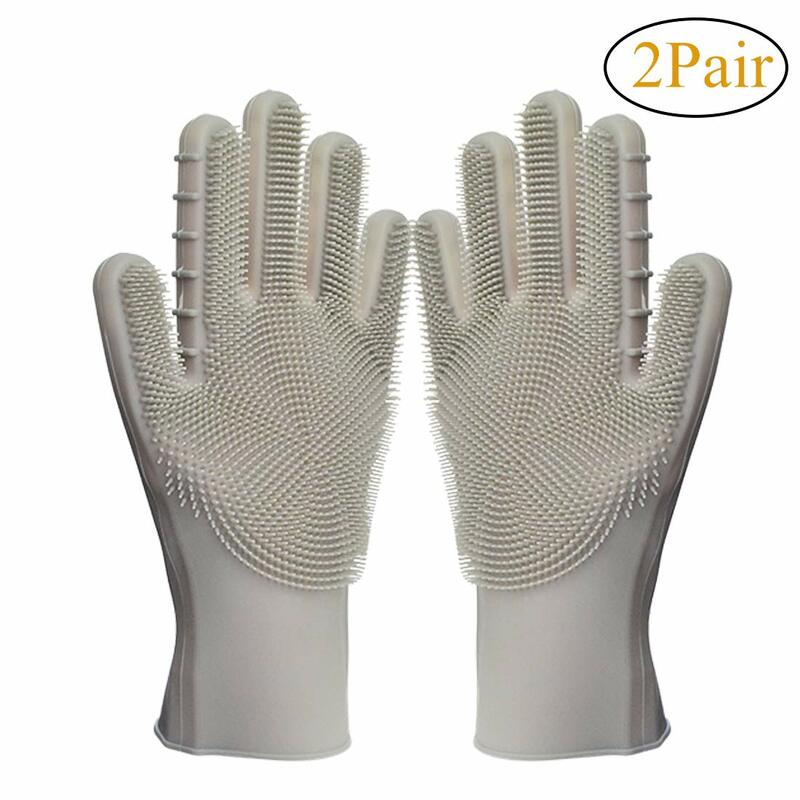 ✔2 in 1 design combined of sponge and rubber gloves. ✔Reuseable Silicone Gloves,high temperature resistance, high elasticity and no deformation. ✔Bubble quickly with fine and soft silicone brush. ✔Non-toxic, odorless FDA approved dish washing gloves. ✔Drying quickly, Say goodbye with stinky bacteria-laden sponges. ✔Stay away from cleaning injuries.Give your hands the best protection. ✔Perfect for kitchens and homes used,washing dishes, fruit and vegetable cleaning, cleaning the bathroom and bedroom, used as bath brush, care for pet fur and car wash! Very useful for more than washing dishes.